With sliding double doors, the Infrico ZX2-SL Undercounter Bottle Cooler is optimised for easy access to contents. 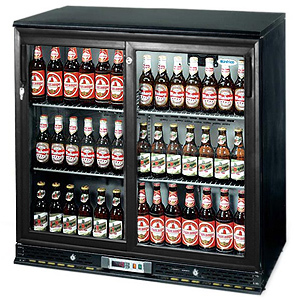 Ideal for busy commercial bars, this Bottle Cooler has a 218 bottle capacity and is clearly illuminated for display purposes. The ZX2-SL offers minimum maintenance with fully automatic operation and a wider spaced finned condenser.